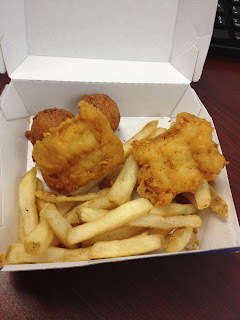 For as long as I can remember, Long John Silver’s has been my favorite fast food restaurant. Despite common sense, public opinion, and the FDA, I have thrown caution to the wind and have continued to eat fast food fried fish on a semi monthly basis. Throughout the years Long John’s has transformed to a dump with cheap prices to a dump with over the top, borderline ludicrous prices. 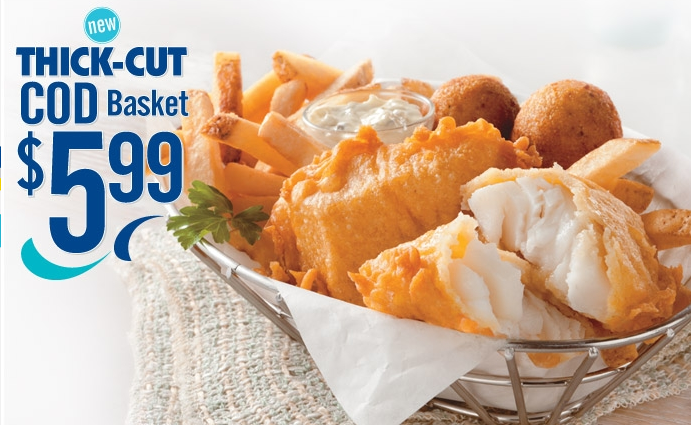 Long John’s newest offering comes in the form of their Thick Cut Cod Basket. 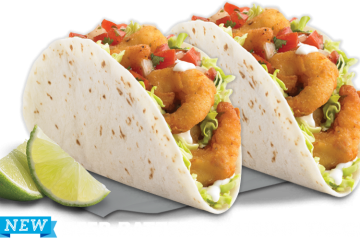 I decided this product would be Fast Food Geek’s inaugural review for the good ol’ pirate. 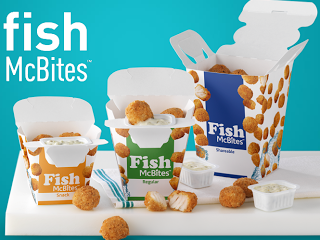 Despite being on the bottom tier of fast food popularity, Long John’s continues to plow through the quick sand, spitting out commercials that typically lack creativity or originality. 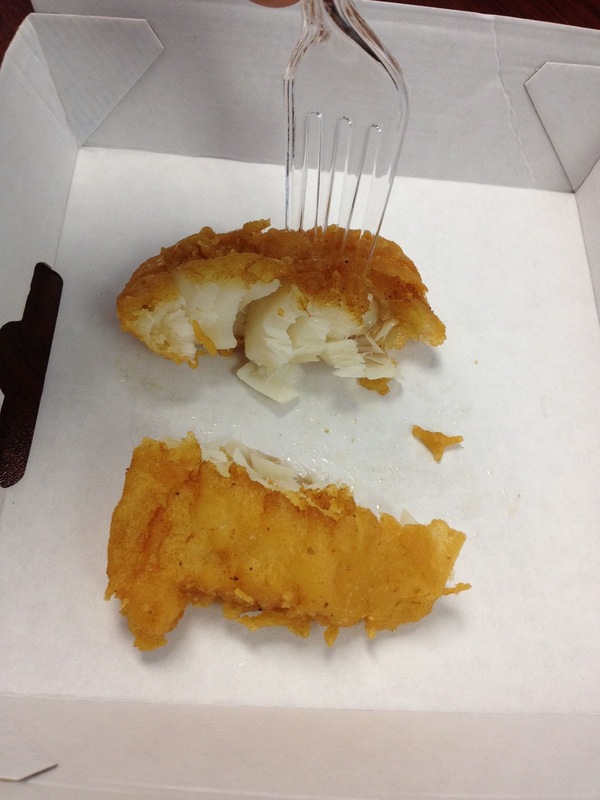 The Thick Cut Cod has been pepped up and touted as Long John’s thickest cut of fish they’ve ever released. 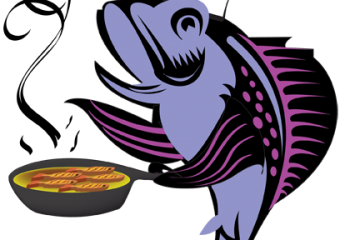 It appears that Alaskan Pollack is the fish they typically use in their fillets but more importantly, I know that each fillet packs 4.5 grams of trans fat, enough death crystals to wipe out the whole population of Montana. 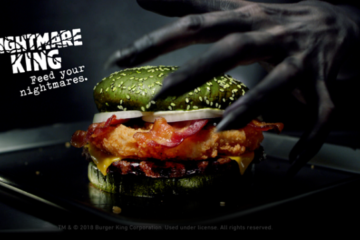 The Thick Cut Cod variety is dramatized to appear to be the size of the LJS employee’s face in the commercial, so it was time to find out. I’ve heard some rumblings online that the Thick Cut Cod was actually a puny pile of lies and whenever I opened up my crate, my suspicions were confirmed. 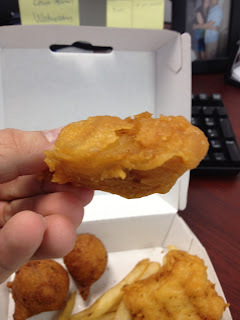 Long John’s had taken the length out of their original fish fillets and squished them together in an almost cube like square. Sure they might have been thicker than their other fish, but they were also a lot shorter, stouter, and weaker. The fact that only a two piece meal packed a $5.99 punch didn’t really help salvage the situation. 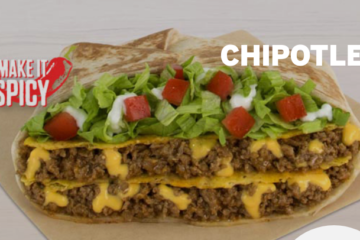 But as we’ve all come to realize with fast food, taste can make all the difference. 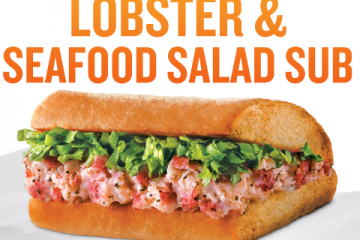 Typically Long John’s brings it with a surprising flaky fish quality that brings the ooh’s and ah’s of a full body massage. 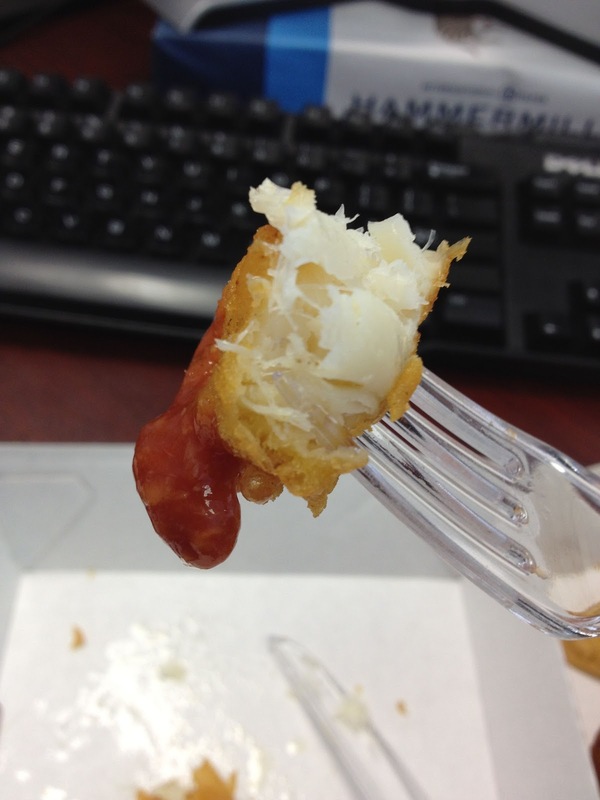 But I was left sorely disappointed in the curdled cod. 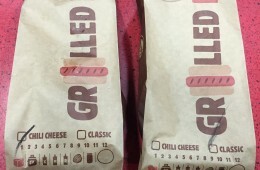 As you can see they look pretty nice compared to the ad photo. Thick and somewhat substantial, but after biting down it almost felt like I was eating floss. The fish had a very tough and stringy texture to it, that was rather off putting. It was just simply a case of bad fish. The rough and rigged interior was salvaged only minutely by the flavorful death crystal infused battering. But not enough to save this ship. 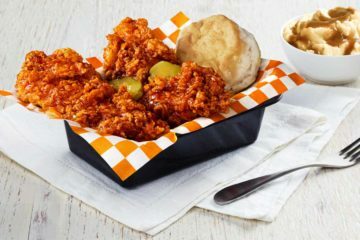 You can only add so much cocktail sauce and wash it down with that crunchy stuff for so long before you realize that you’re eating some funky fish. 1.5 stars for this Long John Silver’s flop dog. Maybe the Long John Silver's I go to cooks their food better. 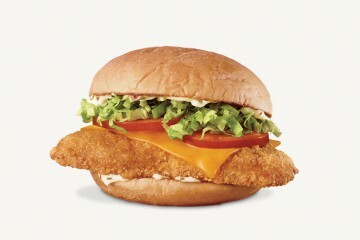 I have really enjoyed the thick cut cod. 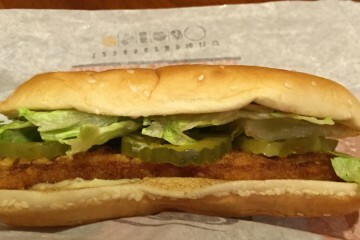 It has been flaky with the crunchy outside and consistently tasty every time I've gotten it. 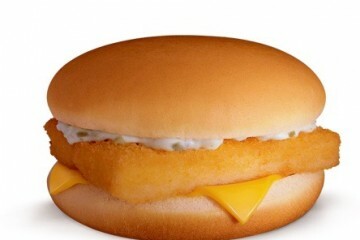 It's been a nice change from their regular battered fish and I will continue to enjoy it as long as they have it. 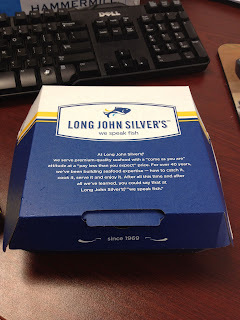 I usually eat at Long John's a couple times a month or whenever I get hungry for some "fast" fish. I hope this review is helpful to some who are considering it. I don't really care for their fries so I always substitute the corn cobette in place of the fries. I gotta agree with the previous commenter and speculate that there's a difference between Long John Silver's locations. 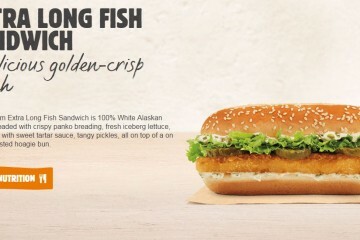 Their regular fish is frankly gross, greasy crap but the cod — which, as you rightly point out, is doled out in pretty ungenerous portions — is actual chunks of flaky, tasty fish. 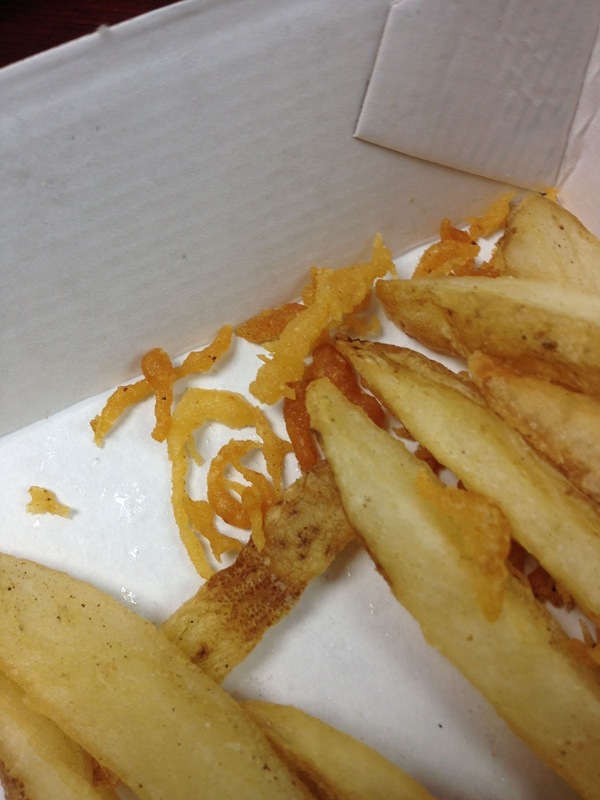 Although now that I know how much trans fat it has, I suppose I won't be eating it again. Although the piece's of the Thick Cod are smaller, I realy like the taste of them better. As does my best friends Sandy and Roger. My husband & I really like the thick cut cod — I'm hoping they'll keep it longer if we keep on buying it. I really like the thick-cut cod, but as mentioned, their prices are absolutely ridiculous. I simply can't afford to eat there much. I had the cod and shrimp basket this evening and all tho it was very good, I was very disappointed in the portion size. One 2"x 2" cod and 4 shrimp. Along with 2 huspuppys and green beans and a lot of "crackalings" (no nutrition in those). 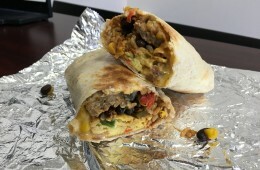 I am not a big eater but this did not fill me up. I don't see my self going back for that at all. I periodically try Long John Silver's to see if there is any improvement. This time I was greeted by a big poster of thick cut cod as I walked in the door. I asked if it was available and got a blank stare and was told she would find out, so I ordered a meal with thick cut cod. I was disappointed to receive their customary wafer thin trapezoidal filet with more batter than fish so I complained to the manager who explained they no longer receive the thick cut cod. Sounds like false advertising to me. 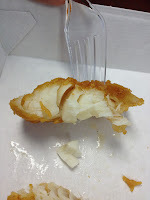 Strange, at my location the thick cut cod is the size of the picture, slightly smaller though.